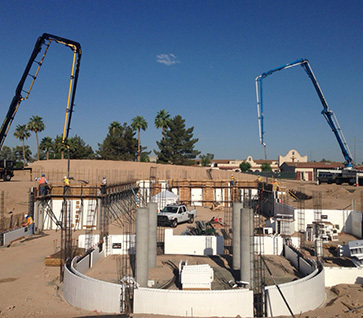 DNG Construction, an Arizona-based commercial general contractor and construction manager, builds a broad range of high-quality construction projects throughout the state. Providing exceptional customer experiences, we bring levels of integrity, collaboration, technology and professionalism to each project we build. Founded in 2012, DNG Construction’s team has constructed nearly $500M of construction projects and has over 70 years’ experience in the industry. Through leveraging technology and our extensive network of strategic partners and alliances, we can deliver cost effective, cutting edge solutions to the most challenging projects. When others say they can’t, DNG Construction says we can. Our approach to building is deeply embedded in a belief that exceptional projects result from the comprehensive management of time, value and cost. Our focus on bringing practical ‘added value’ to each project we build is designed to exceed our client’s expectations throughout the entire building process. Honesty, fairness and can-do attitudes are hallmarks of DNG Construction. By consistently doing what is right for our clients every day, we both honor our past and ensure our future. Maximum flexibility through custom tailored solutions = the DNG difference. We are industry leaders, achieving the highest levels of success and inspiring others through our actions and adherence to these virtues: personal accountability, honesty and fairness in everything we do. Exceptional people constructing lasting relationships by synergizing authenticity, accountability and trust.